Renault India will launch the Captur SUV in India on the 6th of November. The Captur will take on the Mahindra XUV500 in India but will only offer 5 seats. The new Renault crossover is based on the Duster’s B0 (B-Zero) platform and will share its engines and gearboxes with the smaller vehicle. The Captur will be more expensive than the Duster. It will roll out of the same production facility as the Duster – the Renault-Nissan joint car manufacturing factory at Oragadam in Chennai. The Captur sold in India is the similar to the one sold in another emerging market – Russia. In Russia, it is called the Kaptur. In developed markets of Europe, Renault sells a different version of the Captur, which is based on the Clio platform. The version that will soon be sold here is longer and larger. 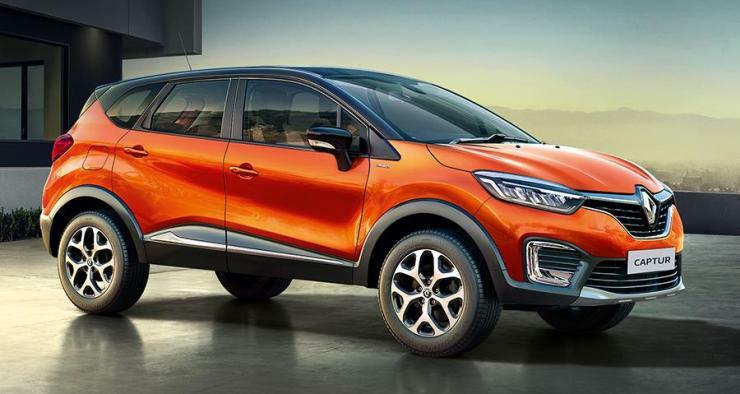 The French automaker has already started taking bookings for the Captur across all its dealerships in India. The Captur’s pricing is expected to start from around 12 lakhs, going up to 14-15 lakhs. It will be the costliest Renault product to be sold presently in India. The crossover will be offered with petrol and turbocharged diesel engines. Both engines will be sold only with manual transmissions. The petrol engine that displaces 1.5 liters and makes 104 Bhp-145 Nm will be paired with a 5 speed transmission. The 1.6 liter diesel engine will get a 6 speed manual gearbox and outputs of 108 Bhp and 248 Nm. Both engines will drive the Captur’s front wheels. An all wheel drive option, though offered on the Duster, will not be offered on the Captur. Renault may introduce such an option after a while. Renault may also offer automatic gearboxes on the Captur in due course of time. The company offers a CVT automatic on the Duster Petrol and a AMT on the Duster Diesel.